Nothing says “Texas fall” quite like a big bowl of warm chili. As the calendar stretches into its later months, as the days grow darker and the mercury (eventually) drops to a brisk temperature, the body begins to crave that familiar, hearty comfort food. Of course, most chili contains ingredients that any vegan wouldn’t touch with a ten-foot pole, but thankfully, that’s not a problem here in Austin. We know how to do it right: vegan-style! The Lone Star Veggie Chili Cook-Off is an all-vegan statewide event that has made “keeping chili weird” a decades-long tradition, bringing teams from all over Texas to compete since 1989. After migrating around the state for much of its run, it settled in the Austin area in 2004, and has been here ever since. In fact, this year marks the return to its original site at the Burnet Road Farmers Market, after spending the last couple of years in Round Rock. We’re psyched to have it back in town! A full 23 teams are set to participate this year. In an exciting addition to this year’s cook-off, one team from each category will also compete in a high-speed “Iron Chef”-like competition. 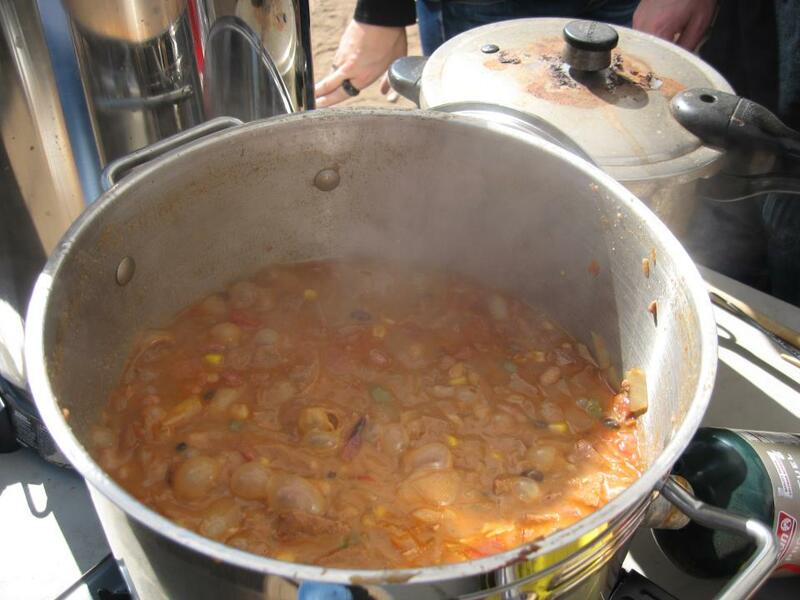 Outside of the contest, vendors will offer other tasty treats to supplement the chili. Non-profits will also be there to raise awareness for various veg-related causes, and entertainment will be provided by Texas roots-rock group Tombstone Bullies. Of particular note, this year will mark the debut of Red Hot Vegans as one of the competing chili teams! So you should come out for no other reason than to see us mowing down all the competition on our way to certain victory. Last, but definitely not least, we would like to extend a heartfelt “thank you” to Stevie and Brendan for putting together the event this year. It really seems to be coming together and it wouldn’t have happened without you two. Thanks, guys! The event will be happening tomorrow from 12-4pm. For more details, including purchasing tickets online, head over to the event’s website. Hope to see you there! Y’all totally mowed down the competition! Great job! !